professional quality, Christian values, and leadership skills relevant to national development. and service oriented education and training. We believe in a student-centered approach to education and management. adapting or improving and using that can be applied to the College. is a vital component of the total effort to attain the main goal of the College. development of the total person. is most important in all official activities of the College. 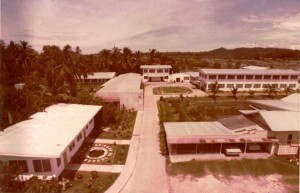 Founded in 1970 by its first director Dr. Rufino L. Macagba Jr., the school was initially established to fill the need for a nursing school in support of the fast expanding then Lorma Hospital (now Lorma Medical Center). He pushed forth this vision and endeavor through the encouragement of the LORMA founders who were both doctor-educators Dr. Rufino N. Macagba Sr. and Dra. 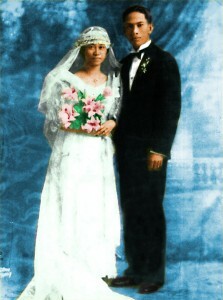 Crispina Lorenzana-Macagba. 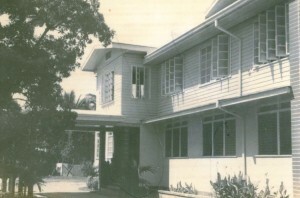 Aptly named LORMA to refer to the first letters of the founder’s surname LORenzana and MAcagba, the school grew from a small nursing school to a higher education recognized as the region’s best performing school. With a solid record of recognitions received for its exemplary performance in the Board Examinations in paramedical courses including Nursing, Radiologic Technology and Physical Therapy since 1989 to present, Lorma continues to produce the greatest number of board topnotchers in the region. Lorma Colleges is the first ever institution in Region 1 to be recognized highly by CHED as a Center of Development for Excellence (CODE-IT). Through the years, Lorma Colleges has received numerous accolades and recogntion in its continuing effort to excel in healthcare, education and community service. To date, it is the largest private and premier learning instution in Region 1. It is also the first and only private higher education institution in the region issued with an ISO Certification by the Anglo Japanese – American Registrars Inc. (AJA) as well as granted with a DEREGULATED status by the Commission on Higher Education. At present, the school has a group of 8 colleges, a graduate school, an institute and a basic education program (pre-school, grade school and high school) with over 4,000 students enroling yearly. Lorma Colleges offers a number of bachelor’s degree programs in Nursing, Pharmacy, Medical Laboratory Science, Physical Therapy, Respiratory Therapy, Radiologic Technology, Accountancy, Business Management and Administration, Hotel and Restaurant Management, Health Services Management, Psychology, Education, Computer Engineering, Computer Science and Information Technology , Post graduate studies in Nursing and short term EDP courses. 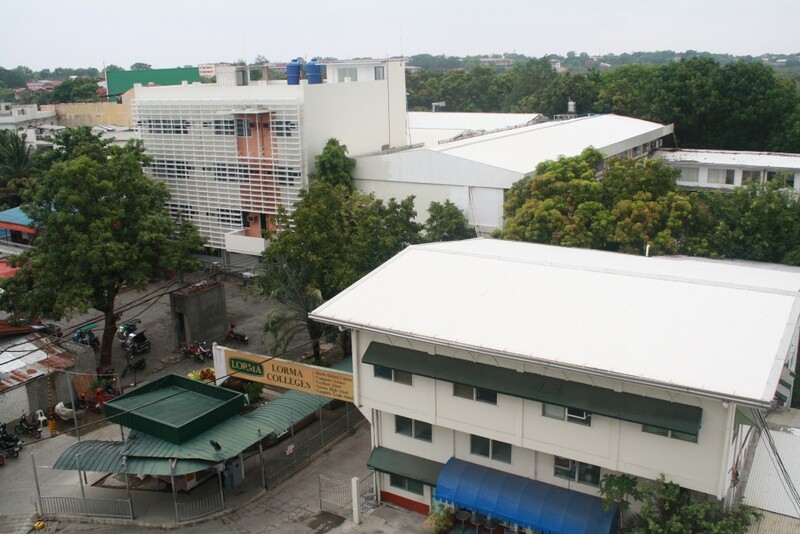 It houses two campuses, one in Lorma Carlatan – the main campus, which accommodates students taking the tertiary level programs, and another in Lorma San Juan which provides basic education programs for students in pre-school, grade school and high school. Lorma Colleges continues to be the Ilocos Region’s center of excellence in paramedical and computer training and education and envisions itself to be a vital institution in building competency, leadership and Christian social concern among the region’s youth. The Lorma Colleges school emblem is represented by a large backdrop of the letters L and C which connotes the school’s name. Defining the circumspect of the letter C are the institution’s core values of Leadership, Knowledge, Skills and Christian Values. These are the principles which guide the college to move forward in its goals to achieve excellence in education, professional competence, leadership in the industry and maintain a strong sense of spirituality. The Caduceus found at the center of the emblem is seen as a staff being intertwined by two serpents indicating the importance of the paramedical professions that Lorma Colleges has begun with. The College of Nursing is represented by Florence Nightingale’s lamp, a symbol of selfless devotion to the duty of caring for patients and the people in the community. Enscombing the caduceus are two laurel leaves which portray the role of Teaching and Education as an important key to molding outstanding Lormanians in the society and to the rest of the world. The eight parallel orbits surrounding the logo suggests the growth and development of the school in the advent of the computer age and information technology, thus the influence of the College of Computer Studies and Engineering as well as the LC Science and Technology Institute.